Since discovering his passion for music at an early age, Julien followed a path that lead to his obtaining a Doctorate degree in Guitar performance from the University of Montreal at the age of 24, with his final concert being ranked amongst the top 5% of all doctoral recitals. He also graduated from the Gatineau Music Conservatory with great success, receiving the Prix avec grande distinction. During those years, he had the chance to be guided by two great teachers and mentors, Patrick Roux and Peter McCutcheon. Through his studies, Julien received many scholarships and awards recognizing his hard work and dedication. The Canadian Music Competition, Lachine International Guitar Competition, Clermont-Pépin Music Competition, Guitare-Drummond competition and CIMF competition are only a few where he distinguished himself. The Lieutenant Governor of Québec Prize for Academic Excellence, numerous Wilfrid-Pelletier Foundation scholarships and sponsored summer sessions at the Domaine Forget in Charlevoix have also been awarded to him. He has performed in master class for some of the greatest guitar players of our time: Leo Brouwer, Pepe Romero, Sergio Assad, Fabio Zanon, Hubert Kappel, Roberto Aussel, Pavel Steidl, Scott Tenant, Bill Kanengiser, Nigel North, Lorenzo Micheli and many others. 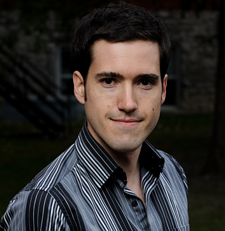 Julien is an Associate Performance Faculty Member at Carleton University in Ottawa. He enjoys a dynamic career performing internationally with the Canadian Guitar Quartet and other chamber music ensembles, teaching at l’École de musique de l’Outaouais and keeping a very busy private studio. He is also a founding member of the flute and guitar duo Vice Versa.